This entry was posted in Crypts & Things, Dungeons And Dragons, Swords and Sorcery by Newt. Bookmark the permalink. This is a very attractive and, more importantly, an *evocative* map! My only criticism is that it looks more like a work of art (which it is!) than a* functional* map (in contrast to, say, the ‘Here by Dragons’ map you posted earlier (for a different project). When I was playing D&D I never used Hexmaps or even maps on squared paper for wilderness mapping. 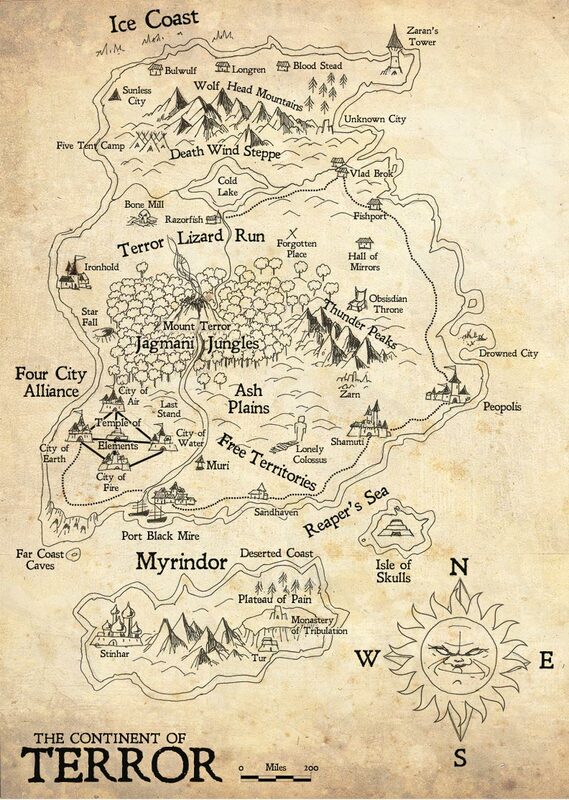 I always used evocative pictoral maps of the lands that the players where about to explore, inspired by the maps that came in Game books of the day and which were in fantasy books of the time. I’ve always found it odd that people want to slap a hex grid over map and painfully measure/describe wilderness adventures hex by hex.